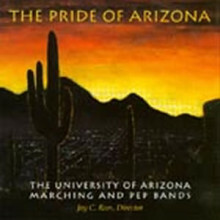 The University of Arizona Pep Band is a group of 55 musicians selected by audition from the “Pride of Arizona” marching band. 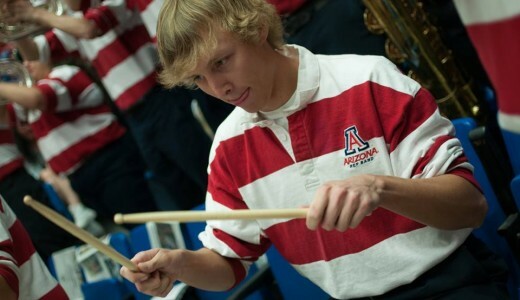 This high-energy jazz/rock ensemble supports the spirited atmosphere at many UA athletic events. 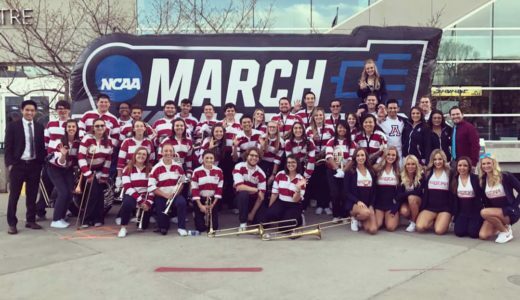 The band has performed at several national championship men’s basketball games, receiving widespread attention for their distinctive sound and contemporary repertoire. They are seen and heard by thousands of fans across the country and millions more through television coverage of NCAA games. 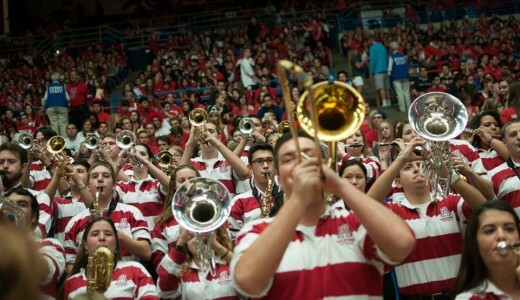 The pep band rehearses throughout the fall and spring. They perform at men’s and women’s basketball games, volleyball games, softball and soccer games, as well as various charity and community events. 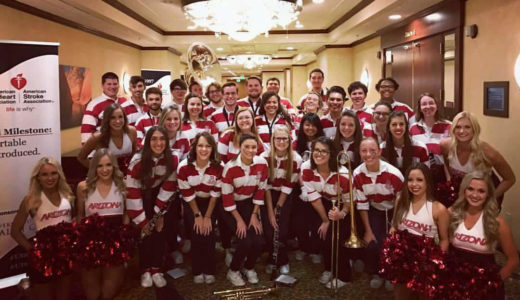 To inquire about having the UA Pep Band perform at one of your events, contact Professor Yudai Ueda at ueda@email.arizona.edu.